You can find Ft. Myers on the East Coast of the United States in the state of Florida. Flocked by two bodies of water, it faces the Gulf of Mexico and on its middle lies the Caloosahatchee River. Named after Colonel Abraham Myers and founded on March 24, 1884, the city is now the commercial center of Lee County, Florida. However, its community was founded on February 21, 1866 by Captain Manuel A. Gonzales. Inventor Thomas Alva Edison visited the city in 1885 and bought thirteen acres of land along the Caloosahatchee River. He then built his winter retreat called, Seminole Lodge. With his wife Mina and others, he planted 200 palm trees along the dirt road from his estate to downtown. Today about 1,800 palm trees lined McGregor Boulevard and gave the city its nickname The City of Palms. McGregor Boulevard is worth your visit. It is the gateway and traditional entry point to the city. You can observe miles of magnificent royal palms, many of them higher than 75 feet. Also, lovely private homes, restored buildings, beach shops, charming cafes and restaurants welcome you as you traverse the road. You take McGregor Boulevard too as you visit Edison and Ford Winter Estates. It’s a beautiful drive that speaks so much about Fort Myers’ rich cultural heritage. Fort Myers experienced rapid population growth in the last decade. From 2000 to 2010, it has an increase of 29.2% and from 2010 to 2016, records an increase of 23.8% numbering to 77,146. The ratio is nearly 1:1 which means the population is evenly distributed between males and females. With the increase in population comes the construction of more housing projects, infrastructure, and amenities. This growth in the population, coupled with the beautiful location is what lead to us opening up our Fort Myers hot tub showroom. Opened on May 10, 1904. Accessibility had improved which connected passengers and freight to Punta Gorda and Fort Myers. It contributed significantly to the economic development of Florida and Fort Myers in particular in the first half of the 20th century when Florida boomed in the 1920s. In 1916, the automobile magnate Henry Ford of Ford Motor company bought the estate near Thomas Edison’s and named it The Mangoes. Likewise, the tire producer Harvey Firestone has also a winter estate near Edison and Ford’s. The three great men left a valuable legacy to Fort Myers, so the city put up statues to memorialize them. You can view them when you visit downtown at the Centennial Park. On February 5, 1917, the first movie theatre called Arcade Theater marked its grand opening which was built originally as a vaudeville house. In 1938, to the plans of architect Roy Benjamin, expansion formed two screening rooms to accommodate the growing moviegoers. It reopened on December 20, 1938, as a full movie house. It is now the home to Florida Repertory Theater. In 1928 saw the construction of Edison Bridge which crosses the Caloosahatchee River and connects East Fort Myers at Freemont Street to Old Bridge Road in North Fort Myers. Named after Thomas Edison, it opened during his 84th birthday on February 11, 1931. He officiated its dedication and the first one to cross it. Several years after the construction of Edison Bridge, real estate grew in demand. It paved the way for the existence of residential subdivisions which include Dean Park, Edison Park, and Seminole Park. These communities showcase varieties of architectural styles and designs which characterized the stately homes. You can see them when you drive along McGregor Boulevard. In 1928 began the construction of the Edison Botanic Research Corporation laboratory. Thomas Edison, Henry Ford, and Harvey Firestone contributed $25,000 each for the research. The aim is to find a rubber tree that can grow in the United States to supply the increasing demand for latex in the country. So it started the famous existence of palm trees along the Riverside Avenue which renamed later as McGregor Boulevard. Thomas Edison succeeded in his research, discovered the plant Goldenrod or scientifically known as Solidago Leavenworthii. But he died in 1931, and his rubber project was now in the hands of the United States Department of Agriculture. In his memory, Mina Edison legally transferred ownership of the Seminole Lodge to the City of Fort Myers in 1947. The city also acquired the adjacent winter estate of Henry Ford in 1988. The two properties are now known as the Edison and Ford Winter Estates, a favorite historical destination for many. What makes Fort Myers unique and inspiring is the fusion of the past and present, the fusion of history and progress. For its residents, there are a lot of choices from urban or waterfront high rise condos to 20th Century Spanish Colonial homes. It also boasts resorts, golf courses, parks, harbors, recreation centers, malls, hotels, shopping complex, museums, townhomes, and business centers. 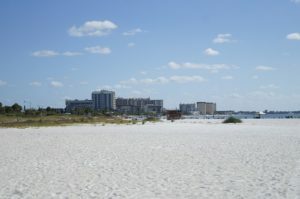 Fort Myers is a popular destination for local tourists, snowbirds, and nature lovers. It has warm winter and humid summer, a tropical savanna climate which is ideal for you to go to avoid a cold, chilling winter. A beautiful place to make you enjoy and relax, it is well-known for its deep sea fishing, nature and wildlife, white sand beaches, islands that line the Gulf Coasts, historical sites, and breathtaking sunsets. Modern comfort coupled with its glorious historical past make Fort Myers the destination of choice. It’s natural environment, and attractions provide all kinds of recreational activities. If you’re adventurous, you can have the fishing charter and tours; boat tours; kayaking and canoeing; air tours; scuba and snorkeling; and water sports to name a few. If you love wildlife and nature, you can visit Six Mile Cypress Slough Preserve; Lakes Regional Park; Edison Park; JetBlue Park; Manatee Park; Four Mile Cove Ecological Preserve; Bunche Beach; Port Sanibel Marina; and more. For lovers of arts, music, history, and science you have a lot of places to choose from. You can visit Edison and Ford Winter Estates; Gannon’s Antique and Arts; Wicked Dolphin Rum Distillery; Florida Repertory Theater; Southwest Florida Military Museum and Library; IMAG History and Science Center; Alliance for the Arts; Railroad Museum of South Florida, Burroughs Home and Gardens; Barbara B Mann Performing Arts Hall; and Paint and Pottery Studios. The local public service transportation in going around the city is by bus, or you may choose to use your car. For those fitness enthusiasts, you can use its bicycle paths and pedestrian-friendly sidewalks. You may want to walk under the towering royal palm trees and feel transported back into its 20th-century glory. No wonder that people are coming here to live, the city is idyllic with a lot to offer for recreation and fitness. In fact, Fort Myers is the home of many professional sportsmen and sportswomen. At the moment the city government has an ongoing project in partnership with the University of South Florida. According to the Fort Myers official website, the aim is “to develop a cohesive strategy for urban design, regulatory revisions, and long-range planning for Downtown” in its three areas. It further states that it envisions these areas to be seamlessly connected and retain individual identity and uniqueness. There are a lot of development projects and investment activities within the city which only testify to its rapid economic growth. The local government formed a Safe and Clean Streets Task Force Initiative. 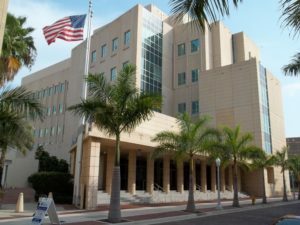 It is the city’s project to “prevent crime and help citizens comply with fire and safety regulations.” There is also a feasibility study in cooperation with the Florida Department of Transportation. It will “determine the viability of extending the John Yarbrough Linear Park and the shared-use path within the general vicinity of the Winkler Canal and the Fort Myers Country Club.” Further, it just started a dementia task force on July 16, 2018. The Dementia Care and Cure Initiative task force raise awareness and make the city a dementia-caring community. Fort Myers is not only forward with its urban development, but its people, environment, history, and culture are also well-cared and well-preserved. Modernization, environmentalism, and social consciousness go hand in hand and balance the scale. You enjoy the comfort of modern living at the same time experience nature at its best. That’s what Fort Myers offers to its residents and visitors: to enrich the quality of their life as they live, work, play and vacation in the city. We are a premier hot tub, swim spa, outdoor kitchen and Big Green Egg Grill dealer with locations in West Palm Beach, and Ft. Myers. Find our Ft. Myers location by clicking on this link. https://southeastspas.com/wp-content/uploads/2018/08/Fort-Myers-2-1.jpg 200 600 Stacy Fender https://southeastspas.com/wp-content/uploads/2018/03/Copy-of-South-East-Spas-Logo.png Stacy Fender2018-08-01 01:07:512018-08-01 02:04:27Fort Myers "The City Of Palms"